To enjoy different lifestyle & new cultures Live a wonderful in the best countries of the world. 1. Opulentus has experience of more than a decade in processing successful visas. 2. Opulentus, the World’s Super Visa Specialist provides personalized services. 3. Opulentus world-wide reach settles clients happily and comfortably at their choicest destinations. 4. Opulentus visa consultants ensure quick and timely visa delivery. 5. Opulentus fulfills your dream to study, or work or do business or settle abroad. 6. Opulentus Landing Services take care of accommodation and job hassles on arrival abroad. 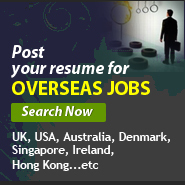 Opulentus Overseas Careers is an internationally reputed immigration and visa services providers, who for over a decade have catered well to their clients’ desire to migrate or study abroad or do just business. Opulentus expert visa consultants are well versed in the nitty-gritty of immigration processes and make the visa processes an easy affair.One need not worry about running from pillar to pillar finding out about visa procedures. Just walk into Opulentus and you would be delighted to know that getting a visa is very easy and quick. Investing in Immigration can give you the best interest that no Bank, Insurance, Stock or commodity can give. An immigration investment for your family could cost between Rs.1.0 to Rs.2.0 lacs.